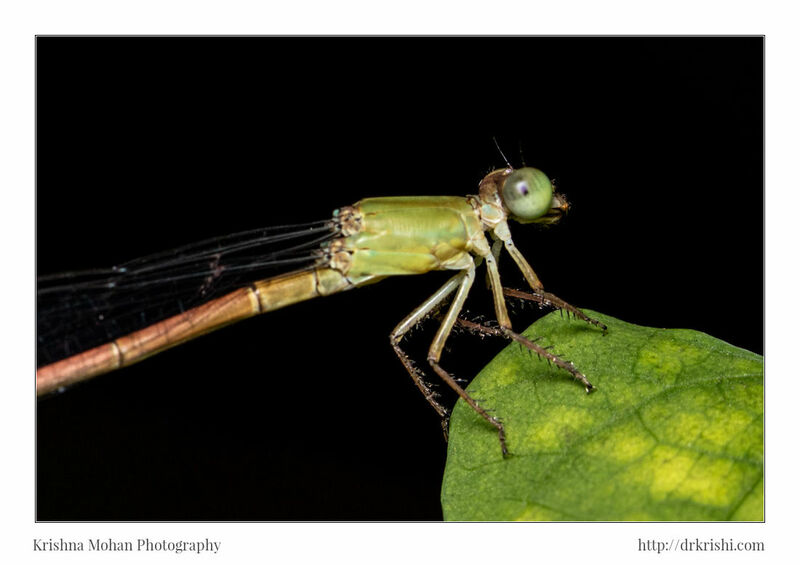 This relatively common damselfly is Coromandel Marsh Dart (Ceriagrion coromandelianum). I have used Canon EOS 5DSR with Canon EF 100mm f/2.8L Macro IS USM using 36mm Kenko extension tube. This whole setup is illuminated by Canon MT-24EX macro twin light flash with a modified diffuser to reduce highlights. Coromandel Marsh Dart (Ceriagrion coromandelianum) is a species of damselfly in the family Coenagrionidae. it is also known as Yellow Waxtail. 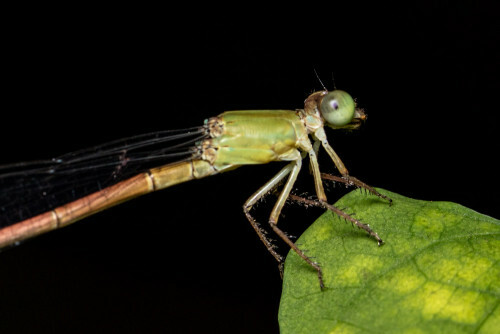 The insect family Coenagrionidae is placed in the order Odonata and the suborder Zygoptera. 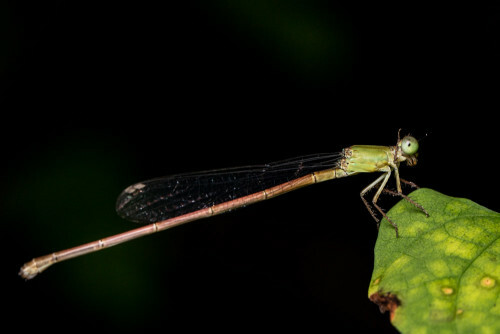 The Zygoptera are the damselflies, which although less known than the dragonflies, are no less common. 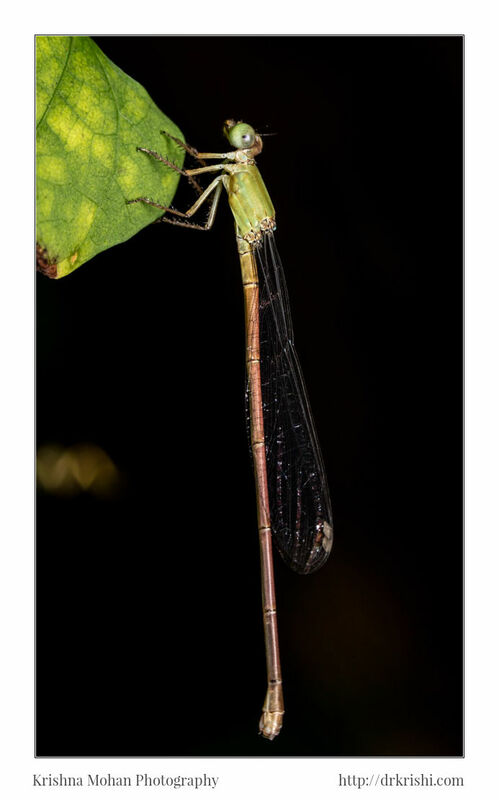 More than 1,100 species are in this family, making it the largest damselfly family. The family Coenagrionidae has six subfamilies: Agriocnemidinae, Argiinae, Coenagrioninae, Ischnurinae, Leptobasinae, and Pseudagrioninae. The name may be derived from Greek ‘coen’ meaning shared or common and ‘agrio’ meaning fields or wild. 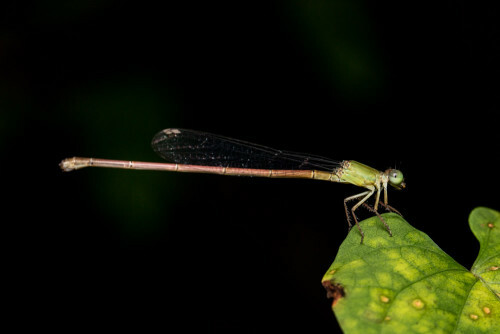 This family is referred to as the narrow-winged damselflies or the pond damselflies. 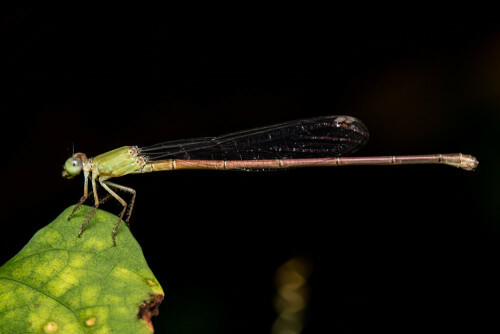 The Coenagrionidae enjoy a worldwide distribution, and are among the most common of damselfly families. 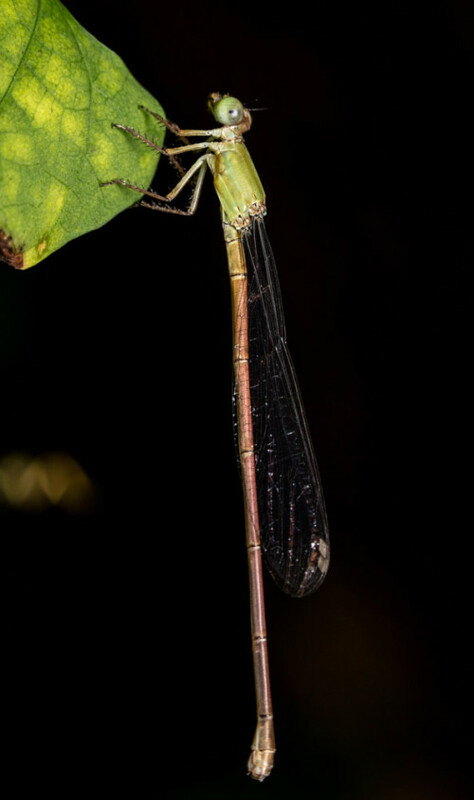 This family has the smallest of damselfly species. More than 90 genera of the family Coenagrionidae are currently accepted. 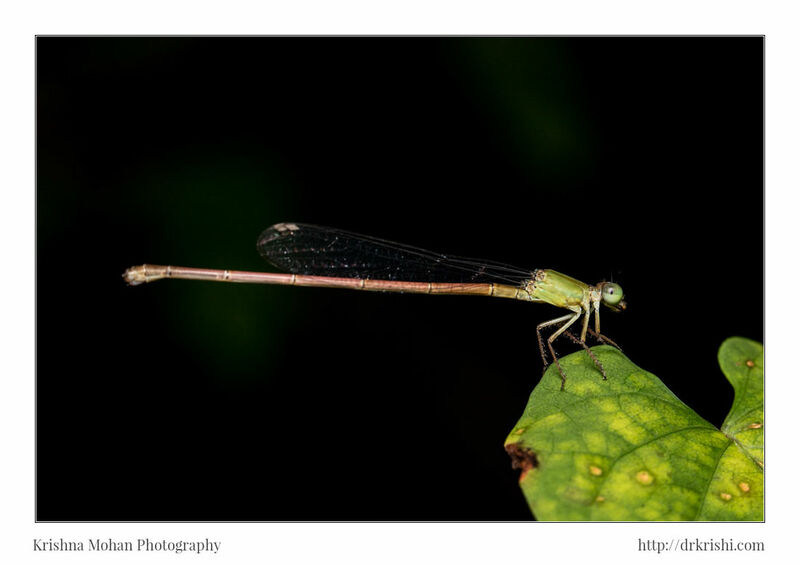 Marsh darts are found throughout the world and in India 65 species are known and 25 species are recorded in peninsular India. Males have yellow tails while female have pale green. 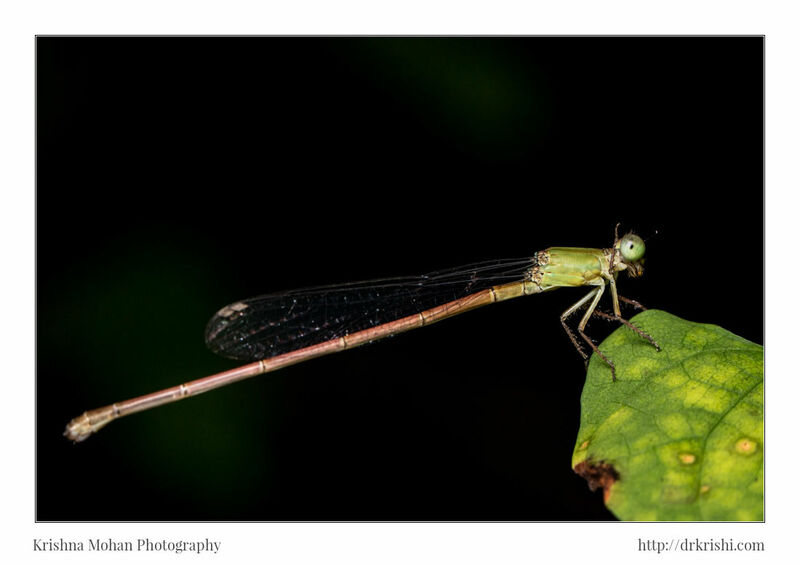 It is a medium sized pale green damselfly. It has slender wings that are closed at rest. Distributed throughout the oriental region. 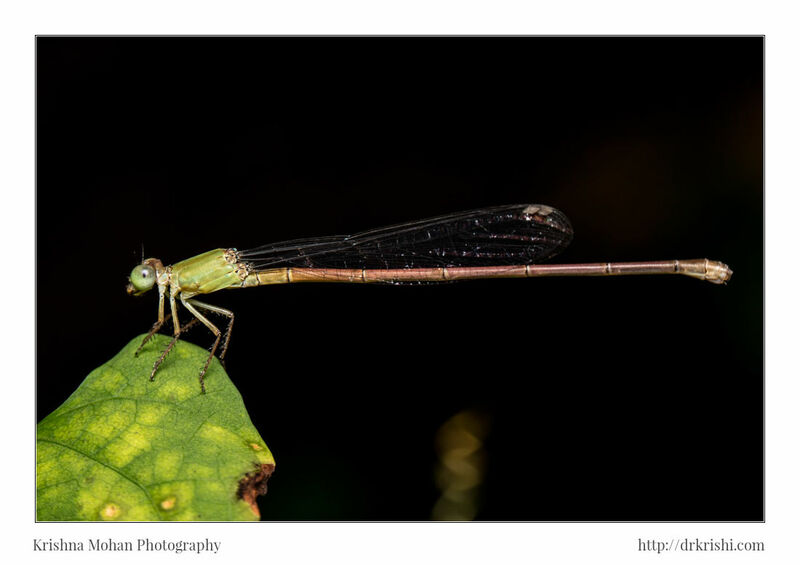 It is probably one of the commonest damselfly seen in southern India, very common along the banks of ponds, rivers and canals. It is also found in gardens far away from water. They are carnivorous throughout their life, mostly feeding on smaller insects. They breed in shallow water bodies with profuse growth of grass and other aquatic plants.